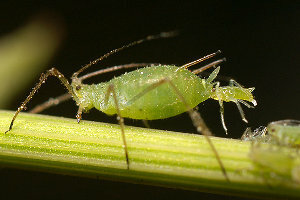 These pests inflict serious damage to various crops, and they have a tremendous capactiy to reproduce. They are commonly seen on roses and oleanders. They also carry viruses and and secrete a honeydew which in turn damages fruit.